Do you ever feel lost in the crowd at church? Have you ever wondered how to get more involved so you don’t feel like an outsider? 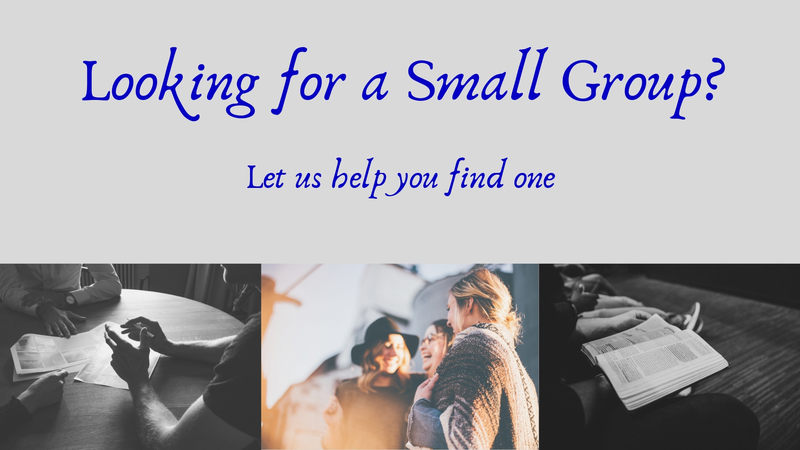 A Small Group is the ideal setting to get those questions answered and find your place. At Crossroads, we believe that growing in your relationship with Jesus, is much easier when you have intentional relationships with people who have the same goal. In a Small Group, 8-15 people, just like you, meet regularly to pursue practical application of spiritual truth, building healthy biblical community and actively serving the needs of others. You'll be encouraged to live out the truths you discover in the Bible, as you encourage others to do the same. Any nights you CAN NOT meet?